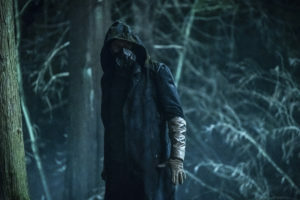 The third episode of The Flash‘s fifth season is shockingly titled “The Death of Vibe,” though having such a tragic end of a major character revealed right in the title might have made audiences second guess whether or not this death would actually come to fruition. Before we get into that, “The Death of Vibe” not only teases this possibility, but also delves deeper into the villain we now know as Cicada, played by American Pie franchise alum Chris Klein, sees Nora Allen (Jessica Parker Kennedy) struggle with the unintentional changes she’s made to the timeline, and features a subplot surrounding Caitlin and the search for information regarding her supposedly deceased father. While “The Death of Vibe” and the season itself currently succeeds at piquing interest in two of these ideas, one hasn’t come off as compelling or even necessary. Like the previous season, season five features a big bad that isn’t a speedster, which is a much needed change from the first three seasons. Also, like last season’s DeVoe, Cicada still comes off as threatening to our speedster heroes. While he isn’t a meta-human, he does wield a lightning bolt shaped weapon that suppresses meta-human abilities. He is made out to seem even more threatening as Nora reveals that he is never actually caught in the future, and even stood his own against the likes of Green Arrow, Supergirl, and the Legion of Super-Heroes. 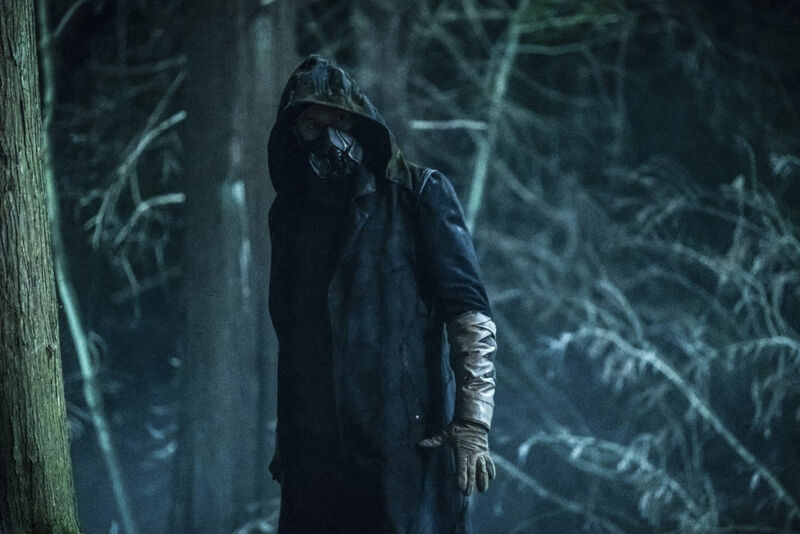 “The Death of Vibe” further cements Cicada as a threatening villain as he takes Joe West hostage in an attempt to draw out Cisco, which doesn’t work out so much until Cecile sends a distress beacon to Team Flash. This plot brings out an intriguing piece of information regarding Cicada as we discover he, like Joe, is a father himself. While he doesn’t outright say it to Joe, Joe does sense this as Cicada shows reluctance towards ending the life of a fellow father. This would be a first for a Flash big bad, although how Cicada’s daughter’s illness has fueled his hatred for meta-humans has yet to be revealed. “The Death of Vibe” isn’t all serious, despite the morbid title, as it does introduce us to a new version of Harrison Wells, this one being a detective named Harrison Sherloque (not Sherlock) Wells. 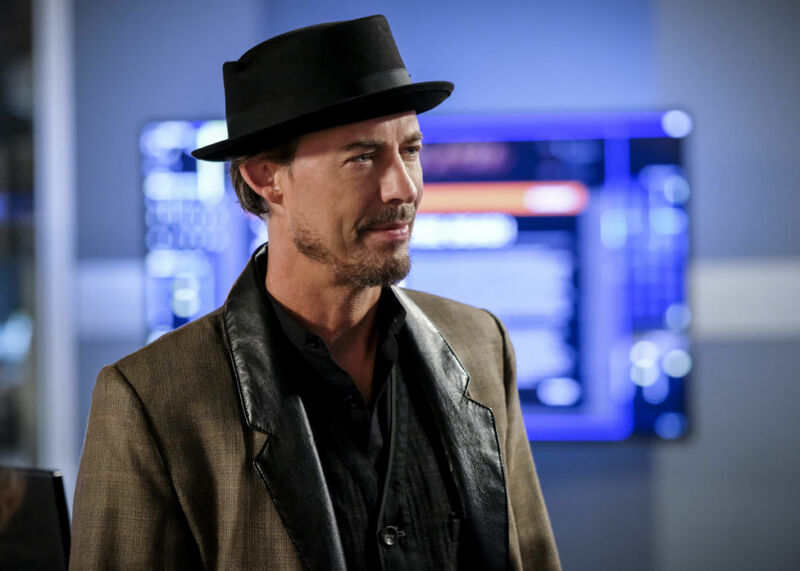 It seems he’ll conveniently be there for a while as his lazy detective skills led to Team Flash catching the wrong man halfway through the episode, and now he has to stay and make sure the team gets their money’s worth. It’s always a pleasure to get Tom Cavanagh back as Harrison Wells in some capacity. The more interesting elements of “The Death of Vibe” involve Nora Allen and her guilt. We see parallels between her character and her father, as both have had to deal with the guilt of unintentionally changing the timeline for the worse. Although, since we’ve seen this same situation play out for Barry in past seasons, Nora’s guilt may only be around for a short time, as both the experiences of Barry and Iris are there to help her through it. So, we won’t be getting the same stories we’ve seen in the past rehashed with a different character for too much longer. As the episode concludes, we see Nora improving as she ends up saving Cisco from being killed, thus faking the audience out and faking the death of Vibe in order to please Cicada and prevent him from pursuing Cisco further. So, the title is definitely a fake out, but we could breathe a sigh of relief, because I’m sure no one wants to see Cisco go anytime soon. Overall, “The Death of Vibe” was an enjoyable episode that added a bit of intrigue involving Cicada and provided a bit of growth for Nora. The subplot that fell short and has been falling short since the season’s start involves that of Caitlin searching for her supposedly deceased father. While the grounded detective-style subplot allows for some diversity in story-telling, we haven’t been given enough reason to care for Caitlin’s dilemma. Thus, every time this subplot comes up, despite having some decent screen time between Caitlin and Ralph, it interferes with the more interesting elements at play. Hopefully, this subplot could prove to be more compelling as the season goes by, but as of right now the dilemma involving the Allens is much more impactful.